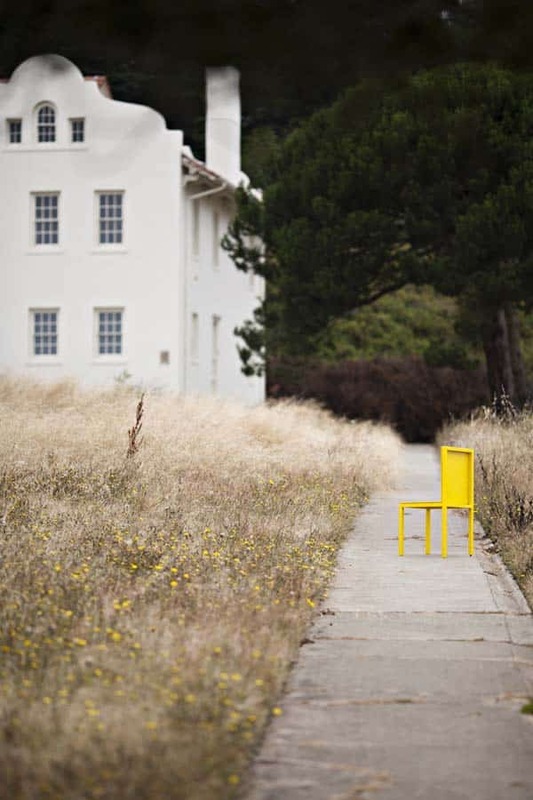 An installation of alluringly placed chairs opens visitors’ eyes to the dramatic life of a little-used part of San Francisco’s Presidio. 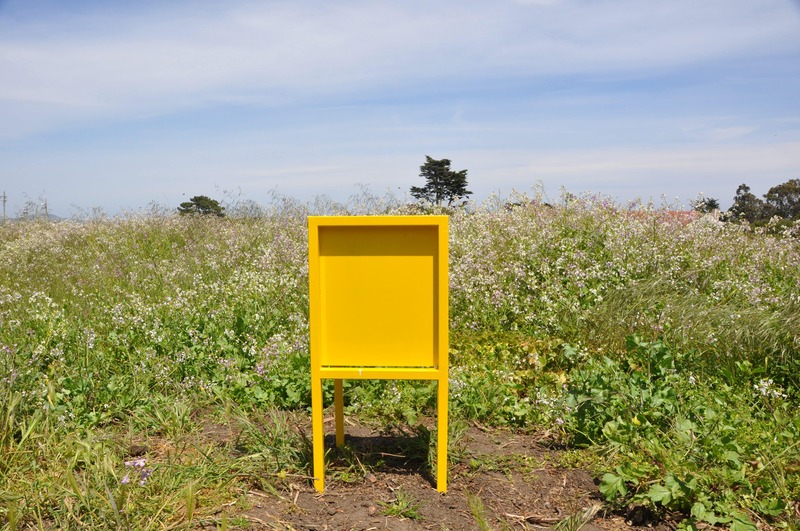 San Francisco’s For-Site Foundation commissions site-specific artworks that promote awareness of natural and cultural environments. 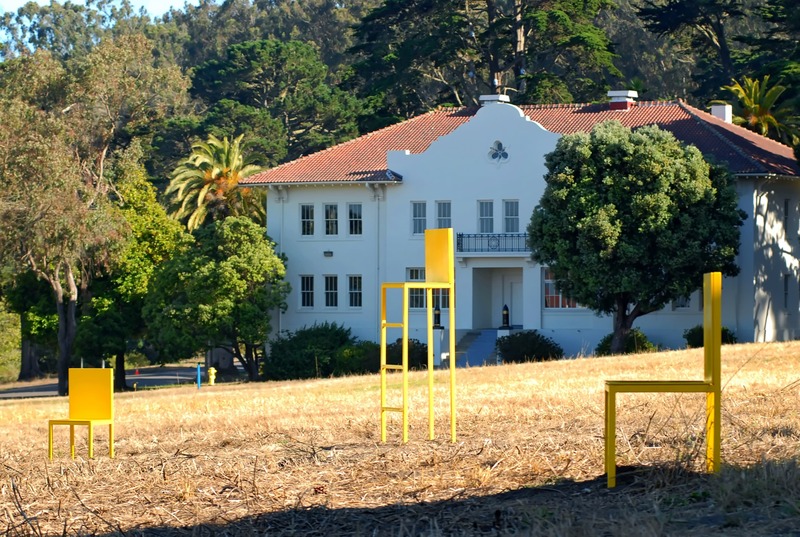 With “Presidio Habitats,” its first project for a national park, For-Site sought proposals for pieces that would highlight an animal, alive or extinct, from San Francisco’s Presidio. 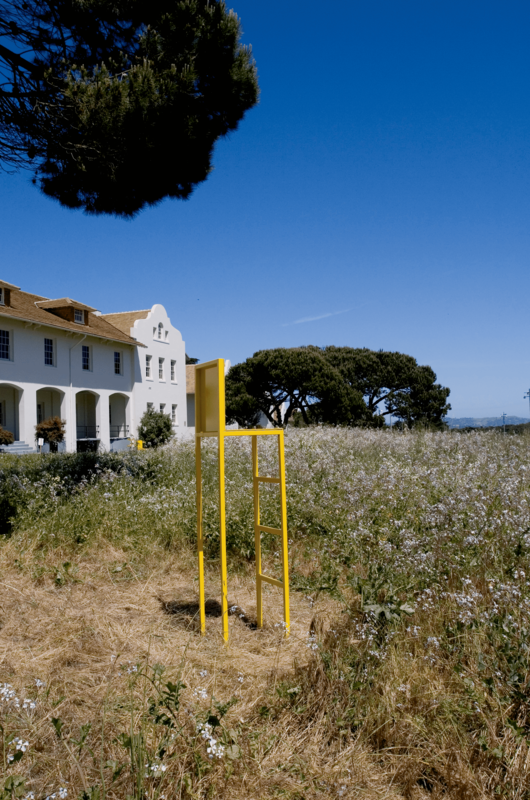 Jensen’s concept, “Patience,” inspired by the great blue heron, was one of 11 winning submissions by artists, architects, and designers including renowned Chinese artist Ai Weiwei. 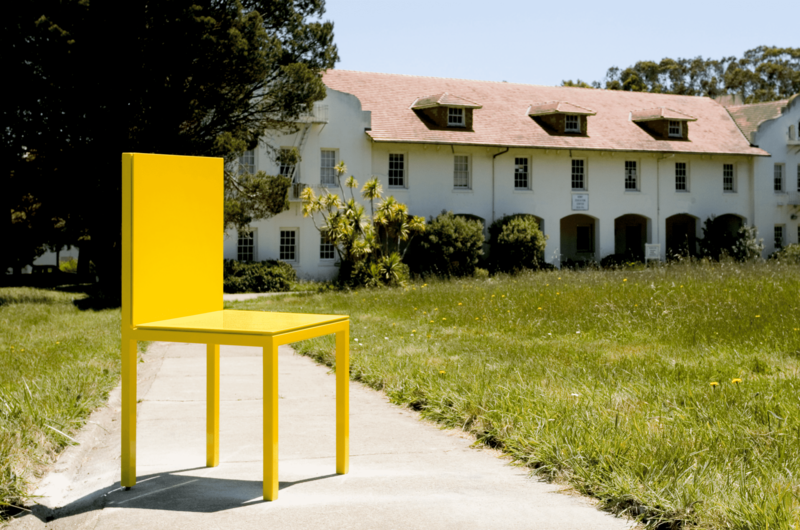 “Patience” comprises 10 bright yellow chairs of varying sizes, each placed alone amid a former parade ground in the Presidio that had become an untamed meadow. 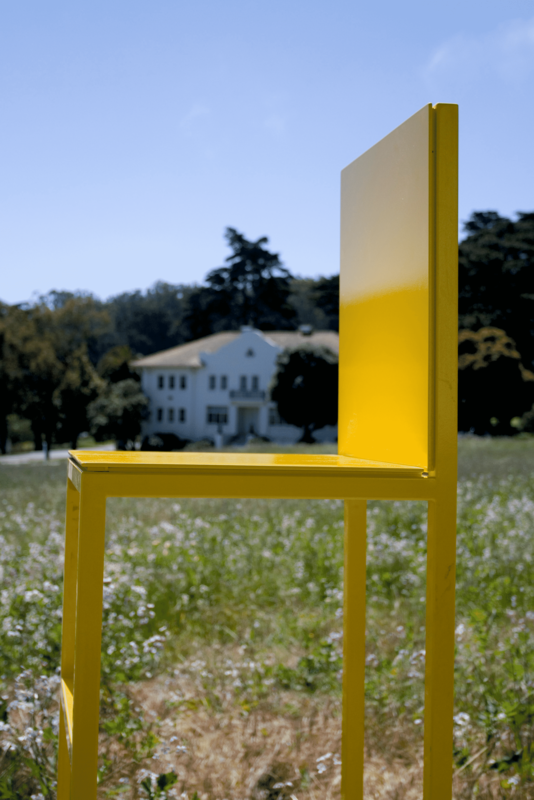 Each chair was carefully positioned to focus the viewer’s attention on a different feature of the location. 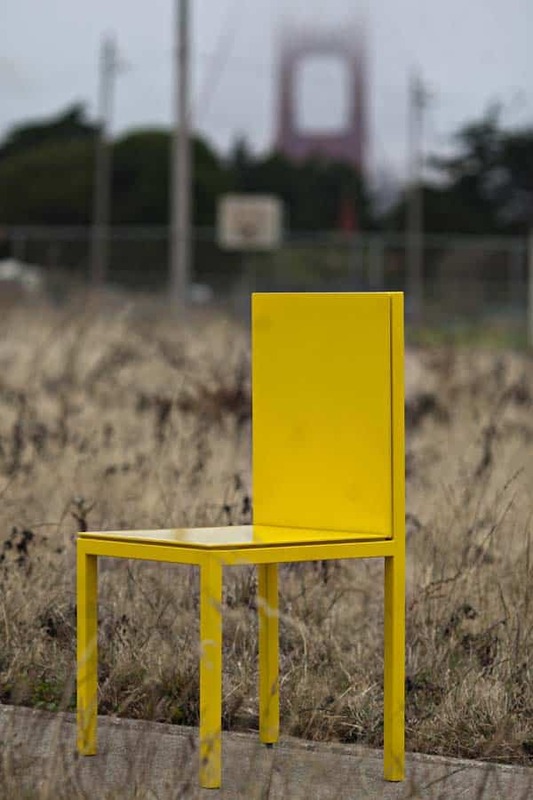 But Jensen also wanted the chairs to stand out from the natural environment as much as possible. 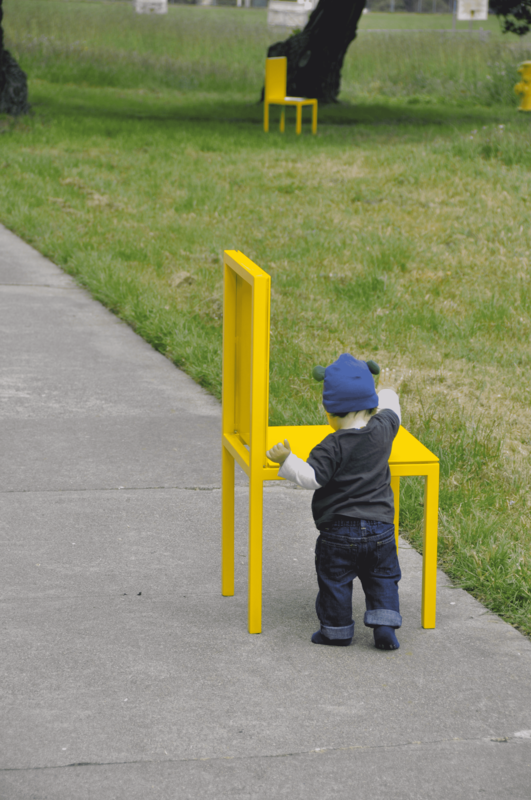 Hence their eye-popping yellow color, a visual link to a fire hydrant on the site. 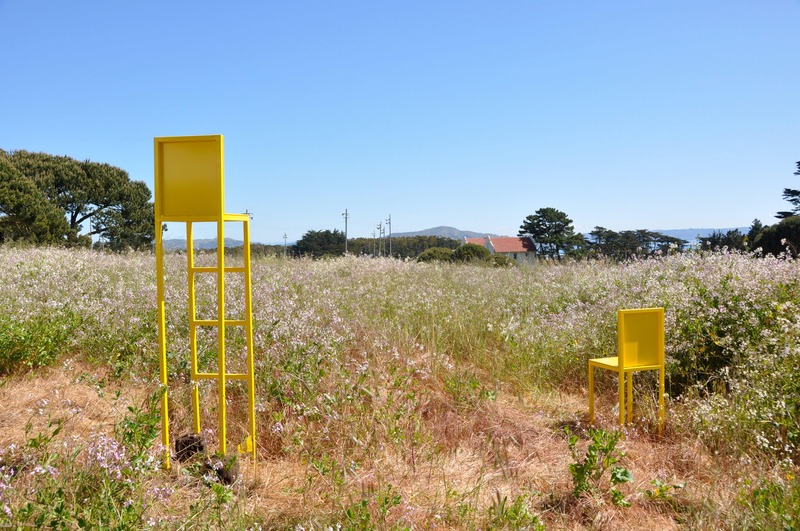 Sitting in each chair would draw the viewer’s eyes to a specific aspect of the area, such as the light, the topography, the disused buildings, and most significantly, the wildlife. 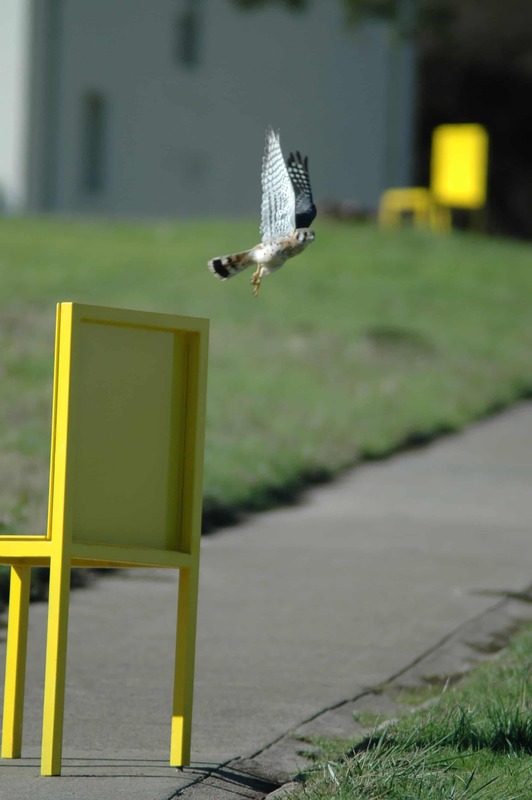 The field was populated with voles, a small rodent favored by hungry blue herons. Patient viewers, adopting the observant mentality of the heron, would witness herons picking off the voles. Thus viewers became aware of what For-Site dubbed “the secret theater” of a site where, at first glance, nothing appears to be going on. 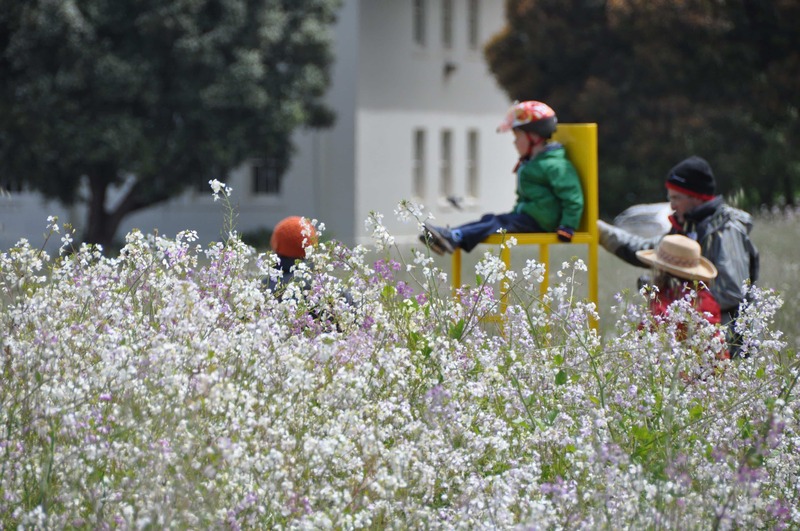 “Presidio Habitats” ran for months and became widely shared via photos on social media. 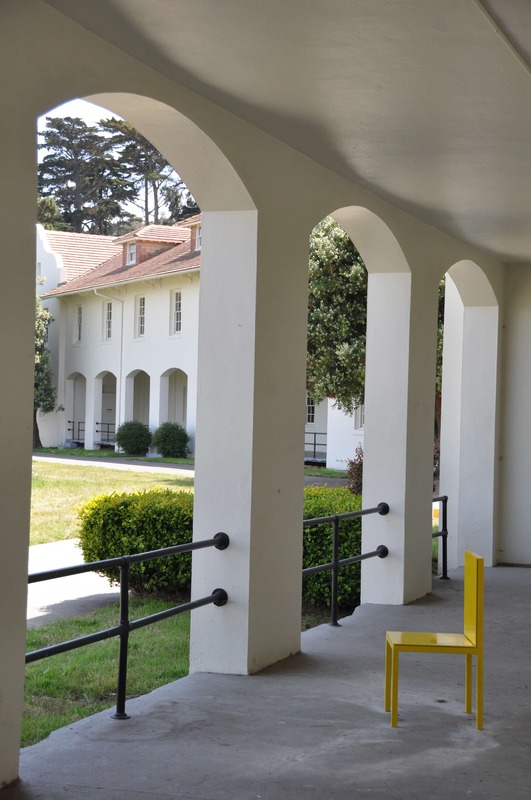 Jensen’s participation in the project began the firm’s relationship with the Golden Gate National Recreation Area, which led to later projects at the Golden Gate Bridge and Fort Mason.